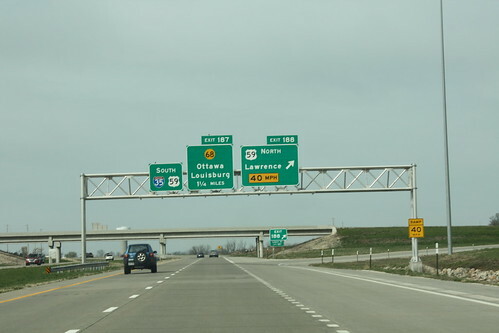 A new BGS on US 59 just northeast of the south junction with US 59 now includes the advance distance to the new US 59 north exit, as well as the 15th Street and K-68 exits. 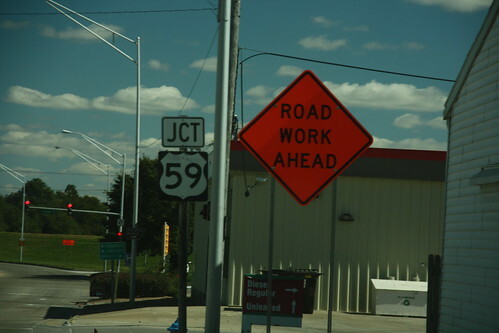 The goof regarding junction sign for US 59 on K-68 in Ottawa is the fact that the sign should have been removed when US 59 was relocated from Main Street to the new freeway. 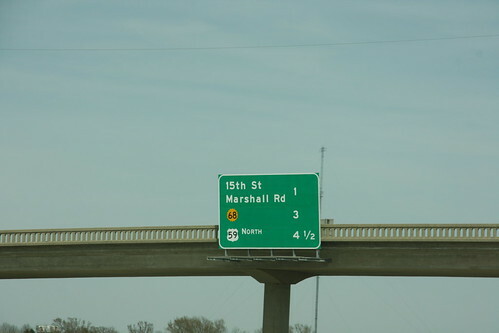 The road work sign is for a mill/overlay of Main Street.